Ages range from 4 - 17. 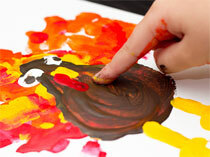 We facilitate all-group games, peer dyad, small group sessions, 1:1 communication building, art and music sessions. 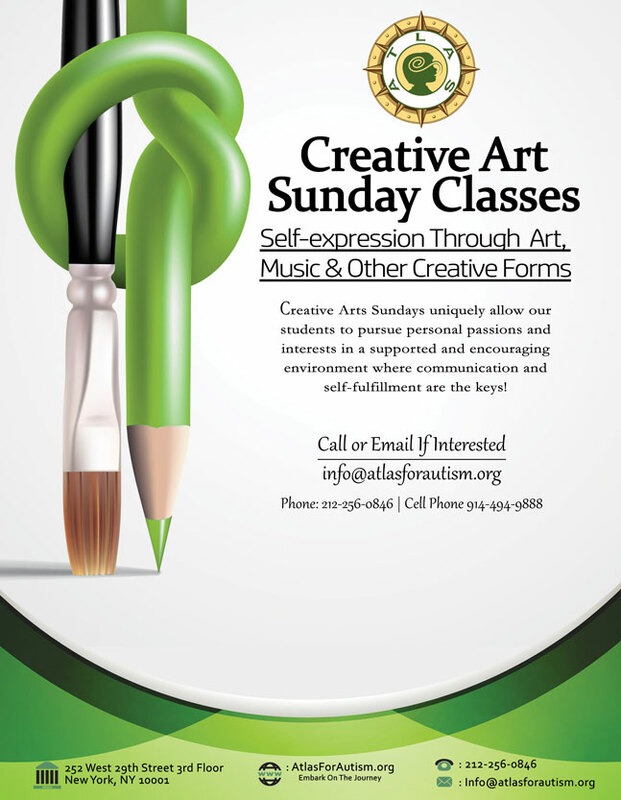 Creative Arts Sundays focus on self-expression through art, music and other creative forms. Sundays uniquely allow our students to pursue personal passions and interests in a supported and encouraging environment where communication and self-fulfillment are the keys! Amanda has an incredible artistic talent herself which models and inspires students to find their own voices, no matter the form that takes. Alternating weekends, we bring in a music teacher and an art teacher who help elevate students' skill sets while fostering greater exploration of their preferred art forms. The Sunday dynamic is something totally unique to any other center we've come across and our students respond and interact in amazing ways. Direct speech services are now available to be scheduled on Sunday afternoons as well. Call or Email us at info@atlasforautism.org to schedule your child for a Sunday. Fun, information packed graphics that help to educate, raise awareness and foster acceptance of autism and the special needs community in general. The popular childrens television series Sesame Street is looking to remove the stigma attached to the disorder by introducing a new character to coincide with World Autism Day. Watch Al Jazeeras video which features Atlas.